Amazon Sellers could have come across the word called” A9 Algorithm”. If you are new to Amazon Sellers Central, Amazon’s A9 algorithm is the brain of Amazon which transforms the user queries into results effectively. Even if the user makes mistake in spellings, the algorithm finds the closest search result based on the keywords typed. Amazon’s A9 algorithm sets the base for Amazon ranking service. It ranks the products based on the user searched keywords and provides results in a particular order. The A9 algorithm makes the user list the results based on alphabetical order or based on pricing ranging from high to low or low to high. The A9 algorithm ranks the products based on price, matching text, sales performance and product availability. In addition to these, there are also some that the A9 algorithm uses to rank the products. They are reviews, images, added content, advertising and promotion methods. The rank can also be affected by the method of Fulfilments and availability of stocks. The A9 algorithm changes every now and then without giving any prior notification. Even the Amazon SEO experts and Amazon SEO consultants won’t know about the changes made easily. Amazon SEO must be done in such a way that all the keywords for the products are effectively used in the contents. Before going on with the Amazon SEO, you must carry out the Amazon Keyword Research to know about what are all the keywords that can be used to search the products on Amazon. Amazon SEO can be done by optimizing the contents based on the keywords researched. 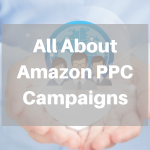 You can also make use of some Amazon SEO tools or an Amazon Keyword Research tool to find the best matching keywords for your products. Amazon SEO is similar to that of Google SEO, you need to have the user typed keywords in the title, meta description and URL of the website in order to have your website on the top of the search results. So, try to optimize your content based on the keywords.